Wireless sport headphones have some obvious benefits, but where they’re really useful is in the gym — or on the road, on the trail, or anywhere else you might work out. Their wirelessness means you can stash your phone in your pocket or on your arm and not get caught up in wires while exercising. Those minutes you normally spend untangling your headphones? You can spend them working out instead. But there are still tradeoffs with wireless headphones, and finding the near-perfect pair can take a lot of time and patience. For one, headphones are and always will be a subjective thing; what fits well and sounds right to me might not for you, and vice versa. Also, while the quality of Bluetooth headphones has certainly improved a lot over the past few years, the sound on some pairs is still likely to make audiophiles wince. And finally, there’s price: how much do you want to spend on headphones that are going to take a beating from sweat, a leaky water bottle in your gym bag, and all of the other elements you might expose them to? Fortunately, we’ve narrowed down the options for you. Over the past several months I’ve tried about a dozen pairs of newer wireless sport headphones, using them mostly while working out (running, cycling, and lifting), but also for everyday stuff like phone calls and commuting. It wasn’t an easy choice, and to be clear, our top picks aren’t solely about sound quality; it’s what makes sense for exercise headphones. These pairs both fit well, aren’t ridiculously expensive, offer solid sound and have long battery life. Despite all that, some people might still prefer to invest in wired headphones — and I can’t say I totally blame you. But if you’re looking for a wireless sport pair, or you see the removal of the 3.5mm jack from popular smartphones as a good excuse to switch to Bluetooth headphones, you should consider these. JLab has made all of the right moves with its Epic 2 Wireless Sport Earbuds, from fit to sound to battery life. 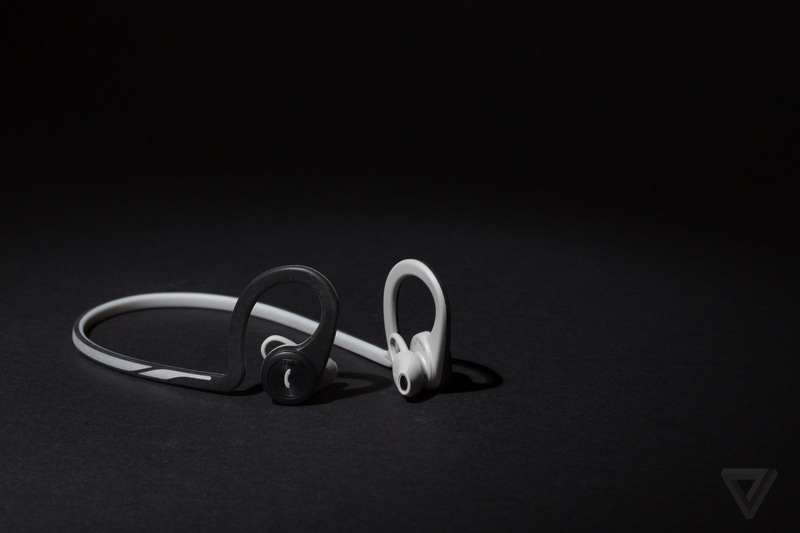 They cost about a hundred bucks, which isn’t cheap by any means, but definitely not as expensive as some of the other premium sport headphones we considered. Like many other Bluetooth headphones, the Epic 2’s pair with both iPhone and Android smartphones, and have a standard three-button remote and mic attached to the cable of the earbuds. Sometimes this kind of inline remote can weigh down earbuds or create an imbalance on one side, but these are light and evenly weighted. They have a tangle-resistant, adjustable cable and come with eight different gel-tips, so they should fit a variety of ears. They do require some finagling when you first put them on — they go over the ear and need to be twisted in — but once they’re in there they’re comfortable. In terms of sound quality, the Epic 2’s offer deep bass with clear, crisp vocals. My only complaint about sound is that some tracks sounded a little bright, and the largeness of the buds themselves may impact ambient noise for some people (so, depending on how far you push them in your ears, you might not get the noise blockage you’re seeking). But a little ambient noise in workout headphones can be a good thing, especially for outdoor runners. Another added bonus: the Epic 2’s have an upgraded, ceramic Bluetooth antenna from the previous pair of JLab Epics, which is supposed to improve the connectivity. Signal drop-out was never an issue for me with these, though I did have some trouble pairing them to an older Mac laptop, which JLab believes is a laptop issue, not a problem with the headphones. Last but not least, a single charge will get you 12 hours of battery life, and they have an IPX5 waterproof rating. This doesn’t mean you should go swimming with them, but they should withstand all of the sweat and water bottle leakage you could throw at them. If you want to spend a little less, a close second are Plantronics BackBeat Fit Bluetooth Headphones, which can be found online for around $80. 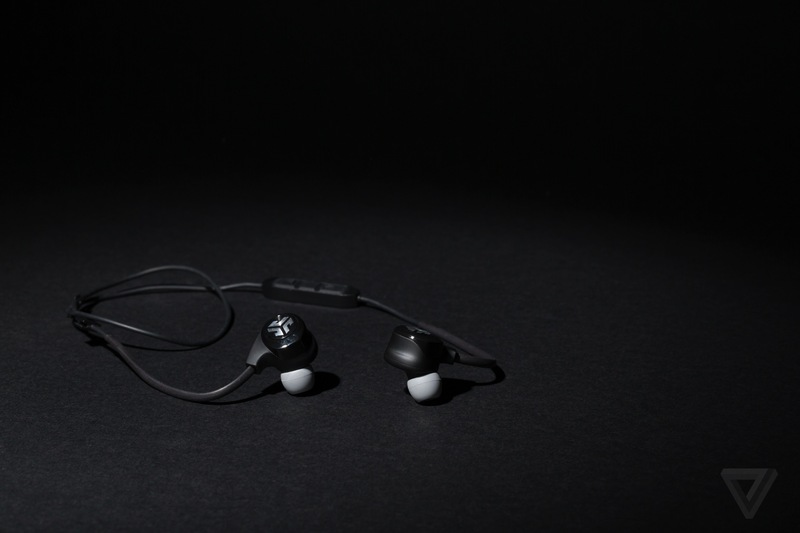 I was sold on the comfort and convenience of these, but didn’t love the technical design, with the remote-control functions built directly into the earbuds. First, the good stuff: these just felt super comfortable. Like the JLabs, they go over the ears for a more secure fit. The cable is on the thick side, but it also doesn’t tangle (at all) when you throw the headphones in a bag. The sound quality on these is also pretty good. If you’re a real audiophile you might be disappointed, but again, we focused this review on workout use cases, not pure music listening. The sound isn’t super bass heavy, but there’s enough oomph for beat-driven workout songs, and for those who aren’t concerned about blowing up your eardrums: they’re loud. And the earbuds are designed to let some noise into the ear canal, which some people prefer when exercising outdoors. They’ll get eight hours of battery life per charge. As an added bonus, the BackBeat Fits come with a neoprene armband for your smartphone, because exercise. The reason why these weren’t my top choice had to do with the remote controls being positioned on the earbuds, rather than built into an in-line remote. Interactive earbuds are not a bad idea at all; in fact, we’re starting to see more of them, with more companies rolling out totally wire-free earbuds. But I found that I would inadvertently skip or stop songs when I went to adjust the earbuds, because I would end up pressing the buttons. This also means all of the skip, pause, and volume controls are crammed into two buttons rather than three, so there’s a slight learning curve while you figure them out.